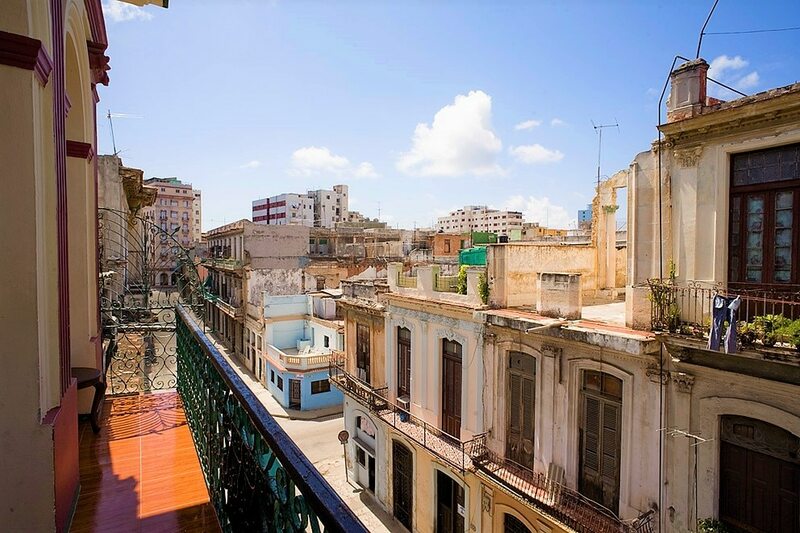 Most Havana itineraries start in the old part of town and take you around its colourful meandering streets, full of beautifully restored colonial marvels sitting side by side to equally stunning but sadly decayed buildings. And while there are plenty of ways to explore the historic city centre, here we’re going to go beyond and show you the secrets to discovering Centro Habana, the grittier, much more raw and compelling part of the city that’s also home to quite a few gems in terms of attractions, a few of them unexpected. In terms of ageing, Centro Habana significantly shows its weathered, battered look more than the rest of the city, not only because it is indeed one of the city’s oldest parts but also because it remains one of the most neglected considering the significant historic and architectural value of many of its buildings. So, make sure to bring your camera along or allow sufficient memory for your smartphone – you’ll be snapping away at some great shots. Not that many tourists know it before landing in Havana, but the Cuban capital once boasted a significant population of Chinese migrants who set up residence in the heart Centro Habana. Unlike Chinese migrants in other parts of the world, they mixed with the local Creole population and that’s why there are many Cubans of Chinese descent with distinctly Asian features softened by African and European influences (Cuban ethnicity is quite a melting pot). The Chinese in Cuba mixed and mingled in their adopted tropical land but they didn’t forget their roots and once upon a time this Chinese neighbourhood was filled with Chinese shops, pharmacies stocking traditional Chinese medicinal products, Chinese food restaurants and all manner of distinctly Chinese commerce flourished. Over the years many stores disappeared, some migrants flew back to China and the neighbourhood suffered from decay and neglect. Yet, in recent years and in order to not let the Cuban-Chinese legacy die, the local government has been making great efforts to restore Chinatown, with the reopening of Chinese restaurants and a revival of Chinese culture. Our top recommendation for Cuban-Chinese food (with the peculiarity of serving Italian favourites alongside) is La Bavaria or Los Tres Chinitos, although you can´t go wrong with a meal at Tien Tan, the most authentic of them all with the largest selection of Chinese dishes. Chinatown is currently in the midst of a rebirthing process and you should definitely check it out during your tour of this part of the city. As it happens, we’ve got great casas particulares in Centro Habana, some particularly close to Chinatown, like Casa Esther and Casa Roseland, Casa Mabel or Casa Colonial Silda. They´re also mere footsteps away from the best of Old Havana and the Malecon seaside promenade so you can really get the best of both worlds when staying here as most attractions are within walking distance – another of the joys of Centro Habana, most sites in Old Havana are within walking distance!